The question we get asked more than anything else is…. This is a hard question to answer because it depends on a lot of different things, the riders height, their weight, their movement range, their confidence level and maybe even their disability. As a general rule we use the following…. The best way of course his to test ride a Trike Bike before purchase but this is not always possible because Australia is a very large continent. In this case use the reference sizes above to choose your perfect Trike Bike. How heavy are Trike Bike's ? Extra weight means more effort; more effort in pedaling and more effort in moving the Trike around. 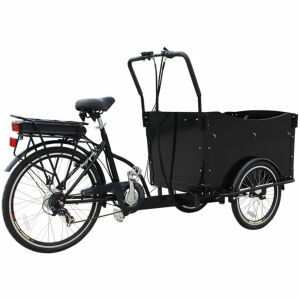 Trike Bike prides itself in manufacturing some of the lightest tricycles in the market. Light however does not mean they are under built, flimsy or will break and that is why all Trike Bike frames carry a lifetime warranty. 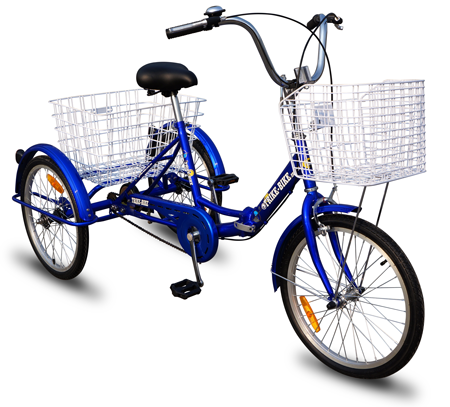 Most trikes sold in Australia are well over 30 kg assembled and ready to ride. 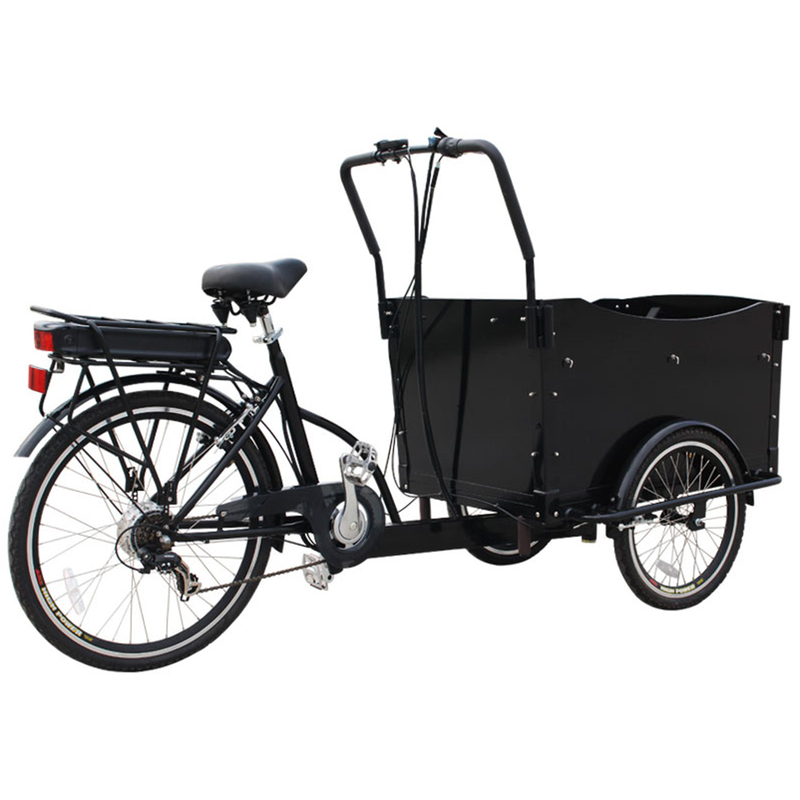 A standard 24 inch Trike Bike is only 23 kg ready to ride with all baskets and other accessories including lights, bell etc. Please don’t be misled into thinking that a heavier trike is more stable or easier to ride because it isn’t, it will require significantly more effort especially on hills. Trike Bike build quality is outstanding! our Trike Bikes are built to a standard, not a price. We know that there are cheaper options available on the Internet and some of these sell retail for cheaper than our purchase price from Trike Bike. This gives you an idea of the quality offered by some Australian sellers. 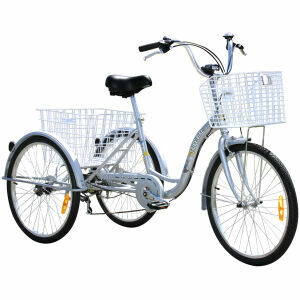 Genuine Trike Bikes have an aluminium frame (which is guaranteed for your lifetime of ownership). Our wheel rims are aluminium and double-walled, the spokes are heavy-duty as this is required for the extra direct side-loads that a Trike is subjected to during normal riding, normal bicycle wheel just won’t last. Unlike cheaper models we use a three-piece crank which runs through a sealed bottom bracket giving you a maintenance free lifetime of operation without the need for servicing or cleaning/greasing. We use much larger 17 mm diameter, hardened steel axles on the rear of our electric models, (our competitors are using only 12 or 14 mm diameter) and the best quality bearings we can source. Most of the running gear hardware is built by Shimano and our front and rear baskets are double dipped in molten plastic to ensure years of use without rusting. Carrying capacity is one of the major features of owning a Trike Bike be it luggage, shopping, tools or even a baby seat. The maximum seat weight on most models is 150 kgs. 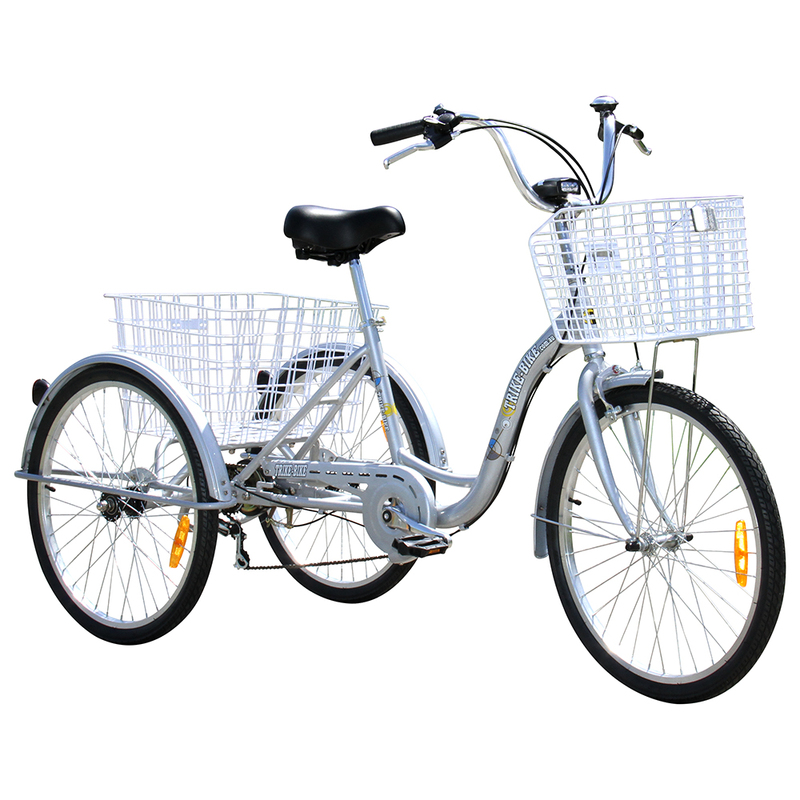 The large rear basket can carry up to 50 kgs and the front basket can carry up to 10 kgs. The total combined weight (rider and luggage) is a maximum of 200 kgs. It’s not unreasonable to expect your Trike Bike to become a real workhorse whatever the load may be and unlike a normal bicycle a Trike Bike won’t fall over when loaded with goodies. For the best comfort your back should be leaning just slightly forward of vertical. The center line of the shoulders should be just marginally ahead of the center line of the hips giving a very slight forward upper body tilt. The arms should be bent comfortably forward with your hands at the same level as just above the top of your hips meaning that there is almost no pressure being placed on the arms which is especially important for the elderly. To make pedalling as easy as possible it has been proven that forward pedal positions are the best for recreational riding, the forward pedal position allows easy starts and helps you to put a large amount of your body weight through the pedal without over exertion. Trike Bikes have genuine Shimano gears for accurate selection and easy pedalling on flat ground or even moderate hills. Our latest models have Shimano Smart Shift for effortless and reliable gear changing. Some merchants sell Trikes with just one gear. One gear is okay for perfectly flat ground but when you get to a hill, want to ride a bit faster, or carry some luggage then you need more gears. First and second gear on a Trike Bike are purposefully much lower than other bikes. All Trikes weigh more than a normal bicycle and our special first and second gear ratio makes riding uphill a breeze. The Trike Bike Hitch Rider rack is the perfect way to transport your Trike Bike or even a recumbent trike. This unit is fully adjustable and will fit just about every trike on the market. When not in use the trike rack can be removed from the vehicle in less than 30 seconds or it can be swung up out of the road to comply with federal road regulations. Loading your trike is very easy and only takes around one minute. This trike rack also has a tilting mechanism which enables you to have access to the back door of your vehicle without the need to remove your Trike Bike from the rack. Manufactured by Hitch Rider in the USA the normal price of this unit when imported into Australia is well over $850 AUD we have them on special for just $550 plus shipping to your location. Full instructions are provided and assembly from the box takes around 15 minutes, fitting to the vehicle the first time takes about 5 minutes but after this fitting is extremely easy and quick. Manufactured to comply with Australia Federal road regulations, *may require a light board to be fitted if indicators and stop lights are covered by the trike. Attaches on what is call a “Hayman Reese” towbar that’s found on most SUV, 4WD, utes and other vehicles. Congratulations on your purchase of a genuine Trike Bike. We are sure you will receive many years of trouble-free enjoyment from your purchase. This operator’s manual will familiarise you with the correct setup, use and maintenance of your new Trike Bike. Riding position: There are three settings which need to be adjusted to obtain the correct riding position. The seat height is critically important, matched to this is the handlebar height and the reach from your shoulders to the handlebars, each of these adjustments can be made individually to increase your comfort and enjoyment using your Trike Bike. Seat height: the seat height needs to be adjusted to obtain the most comfortable riding position. If the seat is too low pedaling will be difficult because you cannot put all of your strength into a bent leg. The seat height needs to be set correctly in relation to the length of your leg. The position should not allow for over-extension as you do not want your hips moving (rocking side to side) when you are pedaling, this is very tiring and will quickly give you a sore bum. Sit on the trike with one pedal at its lowest point, place the ball of your foot on the pedal and have somebody standing alongside looking at your leg position. In this position the leg should be very slightly bent at the knee, if your leg is straight then lower the seat position, if your leg is bent too far then raise the seat position. A good double check is to sit on the seat with the pedal in the lowest position and place your heel on the pedal; in this position your knee should be almost completely straight. It is important to note that the seat travel up and down can be adjusted a long way but for safety a certain amount of the seat post must remain in the frame to secure it firmly. On our seat posts there is a mark shown which represents the maximum height/minimum insertion. Do not raise the seat beyond this mark. Handlebar height: maximum comfort is usually obtained when the handlebar height is equal to the height of the seat, you may wish to try different heights to find the most comfortable position for your riding. The handlebars also have a mark for the maximum height/minimum insertion point; do not raise the handlebars beyond this mark. Reach: for maximum comfort you should not be overextended or cramped when reaching for the handlebars. 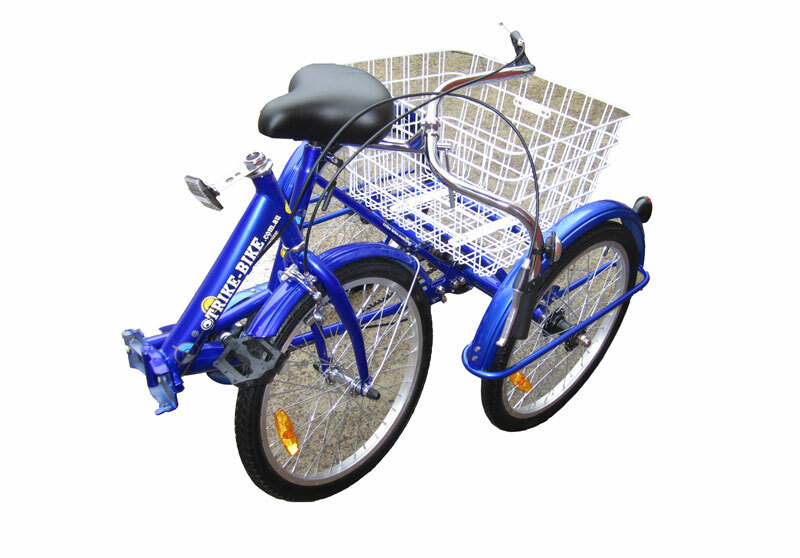 A Trike Bike is ridden primarily for leisure and you want the seating position and the reach to be comfortable. Adjust the handlebars forwards and backwards for the most comfortable position. They should not be any undue pressure on your hands, elbows or shoulders when seated and riding correctly. Before heading out on your ride there are several things which need to be checked to ensure the safety of both yourself and others. Brakes: ensure the front and rear brakes are working correctly. If the brakes are not working correctly do not ride the Trike Bike until the problem is found and they are adjusted correctly. Wheels and tires: ensure that the ties are inflated correctly. The minimum pressure is 40 psi, the maximum pressure is 55 psi. In our workshop we inflate the tires to around 45 psi, this gives the trike a nice solid feel making it easy to pedal whilst at the same time still providing a little bit of suspension from the tires themselves. Quickly check the tires to make sure there are no problems with the tread or bulges on the sides, quickly check the rims to make sure they have no buckles or kinks. Ensure that none of the spokes are broken and double check that the wheels are securely tightened by checking that the domed safety nut is still in place. Seat: ensure that the seat is positioned correctly and that the clamp holding the seat in position is secure and cannot slip. Steering: ensure that the front wheel can turn side to side freely by moving the handlebars. Gently pull the handlebars forwards and backwards to make sure they are secure and cannot slip during your ride. Check that the brake cables and gear change cable are not being pulled when you turn sharply. Chain: make sure the chain is lubricated and runs smoothly; a damaged chain or one that has gone rusty must be replaced. If riding in the rain be sure to lubricate your chain after your trip with chain lube or a very light oil. Cranks and pedals: make sure the pedals are in place and have not come undone, grab each pedal and give the crank a wiggle to make sure the crank is securely in place on the main crank axle. At the same time push your trike backwards and forwards about 1 m and listen for any grinding or rattling from any of the wheel bearings. Obviously, if something is sounding wrong then do not go riding but seek additional assistance. Derailleur: the derailleur is a fancy name for the gearchange unit at the rear of the trike. Quickly check that nothing is bent and that the gearchange cable is securely attached. Do not change gear with the trike either stationary or rolling backwards. The gears can only be changed when the Trike is being pedaled forwards. Front forks: stand back from the trike a couple of meters and have a look at the front forks, they should be vertical and not offset, nothing should be bent or broken. Front and rear basket: again standing back from the trike quickly check the location of the front and rear baskets, make sure they are not damaged or falling off the trike. Safety equipment: your trike is supplied with several reflectors, there are permanent reflectors on both of the pedals, there are reflectors on each wheel, there are reflectors on the rear mudguards and a reflector on the front of the bike basket. Make sure this safety equipment is attached to your Trike Bike before riding. The most important safety equipment is a properly fitting helmet. It is strongly recommended that you wear an Australian approved helmet when using your Trike Bike. For maximum protection the helmet should be fitted correctly, the straps must be correctly set; the helmet should be comfortable and feel like it is made for your head. If the helmet is uncomfortable then please check it has been fitted correctly. If you have a child seat then it is also a legal and moral requirement that the child is wearing an approved helmet as well. When riding your Trike Bike you must obey the same road laws as other vehicles, this includes giving way to pedestrians, stopping at red lights and stop signs and riding safely. Some states and territories have different regulations for bicycles and tricycles; please contact your Road Traffic Authority for more information. Ride defensively, to some other road users you may be hard to see. Ride predictably and if possible in a straight line on the left-hand side of the road. Never ride against the traffic. Concentrate on the path ahead; avoid potholes, drainage grates and other obstacles if you can. The extra stability of the trike can make a big difference on wet roads, oil, speed bumps and gravel but please ride slowly and carefully because it’s possible to fall off anything, including a Trike. If you have tram and train tracks in your area always cross these at 90° or walk your Trike Bike across. All Trike Bikes are supplied with a bell, use this as a warning if needed. Don’t ever carry packages or passengers that will interfere with either your visibility or the control of the Trike Bike. Don’t use anything that can restrict your hearing like an iPod or headsets. When braking start by applying both brakes gently and then increasing the force. For your safety do not put your feet on the ground when braking otherwise they may be run over by the rear wheels. Be aware that your Trike Bike will want to always turn downhill, if you are riding on a road with a large camber then please be aware that the Trike Bike will want to turn into the gutter. Simply adjust your riding by counter steering the other way; this will happen subconsciously after about 30 minutes on your Trike Bike. Finally, familiarise yourself with all of the Trike Bikes features, practice changing gears, braking etc. on flat ground before venturing out into traffic. For the first few trips on your Trike Bike we recommend only riding in flat areas. Riding in wet weather requires extra care; brake earlier because it can take a longer distance to stop. Generally ride a bit slower and avoid sudden braking or sharp corners. Be more visible on the road by wearing safety clothing and using your LED light. All road hazards like tram and train tracks, manhole covers etc. become more hazardous in the wet. Ride with extreme care in the wet. Gear changes: when approaching a hill change down to a lower gear early so the bike can be settled and in the correct gear before applying additional pressure to the pedals. If you’ve reached the lowest gear and are still struggling stand up on the pedals to give you more strength and additional force from your body weight. If you are not an Olympian then please get off your Trike Bike and walk it up the hill by grabbing the front basket and walking along like you are taking the dog for a walk. If you push your Trike Bike by holding the handlebars you will get run over by one of the rear wheels. Cornering techniques: riding a Trike Bike is very different from riding a normal bicycle which leans into the corner. A tricycle will lean away from a corner; this means if you are travelling too fast and try to corner quickly you can actually tip the Trike Bike over. Whilst it would be extremely uncommon for the majority of our customers to ever get into this situation it is something which is faced all the time by fearless teenagers who will intentionally do it to ride along on just 2 wheels. The simple rule for cornering a Trike Bike is to slow down and take the corner at an appropriate speed, if the inside rear wheel lifts off the ground, do not panic, simply straighten the steering and apply brakes to slow down. When your speed has slowed you can then attempt to take the corner again. Riding a Trike Bike is for pleasure and enjoyment, it’s not a race, so please ride appropriately. Riding downhill: is a lot of fun because you can build up speed and cover large distances without any effort but it also can be dangerous if you allow the speed to get away from you and the Trike Bike to become uncontrollable. When riding downhill keep your hands on the handlebars and your feet on the pedals. Use both the front and rear brakes as required to keep your speed under control at all times. Do not put your feet on the ground in an attempt to slow down because they will get run over by the rear wheels. Riding a Trike Bike is not about speed, it’s about control; please make sure that you stay in control at all times. Derailleur Gears: most trikes built today are equipped with what are known as derailleur gears. They operate using a system of levers and mechanisms to move the chain between different sized driving gears or cogs on the rear axle. The purpose of gears is to let you maintain a constant, steady pedaling pace under varying conditions. This means your riding will be less tiring without unnecessary straining up hills or fast pedaling downhill. Trike Bikes come with either one fixed gear or a Shimano 6-speed system. The 6 speed Trike Bikes are fitted with a gear change shifter on the right hand handlebar and are operated by your thumb. To select a lower, easier to pedal gear push the gear change lever away from you with your thumb. To select a higher gear (for going downhill) press the grey downshift button with your thumb. Operating Principles: no matter how many gears, the operating principles are the same. To change the gears you must be pedaling forward. You can’t change derailleur gears when you are stopped or when pedaling backwards. Before shifting to another gear ease up on your pedaling pressure, don’t change gears when on a hill but on approaching a hill. Shift to a lower gear before your pedaling speed slows down too much for a smooth shift. When coming to a stop, shift to a lower gear first whilst you are still moving so it will be easier when you start riding again. If, after selecting a new gear position, you hear a slight rubbing noise (chatter) from the rear gears then gently press the shifter with your thumb until the noise goes away. The following procedures will ensure your Trike Bike is maintained in tip-top condition. Anywhere that is painted remove any light dust on the surface and any loose dirt with a dry cloth. To clean, wipe with a damp cloth soaked in a mild detergent mixture. Dry with a cloth and polish with car or furniture wax like Mr. Sheen. Use soap and water to clean plastic parts and rubber tires. When clean spray a light covering of WD-40 over all the metal parts on the Trike Bike and in particular the hubs and spokes. Try to keep spray off the front wheel rim otherwise you can expect reduced braking when you next ride. Store your Trike Bike under shelter and out of the weather if you can; avoid leaving your Trike Bike in the rain or exposed to corrosive areas. 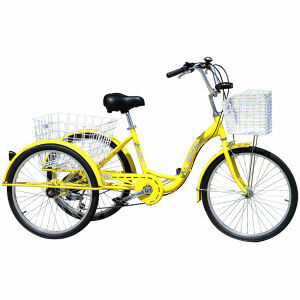 Riding on the beach or in coastal areas exposes your Trike Bike to salt, which is very corrosive. Wash your bicycle frequently and wipe or spray all unpainted parts with WD-40 every 2-3 months as detailed above. If the hubs and bottom bracket bearings (pedals) of your Trike have been submerged in water, they should be taken apart and re-greased to prevent accelerated bearing deterioration. This should be performed by a bike shop. If paint has become scratched or chipped to the metal, use touch up paint or nail polish to prevent rust. Clear nail polish can also be used as a preventative measure. Regularly clean and lubricate all moving parts, tighten components and make adjustments as required. Keep your bicycle in a dry location away from the weather and the sun. Ultra violet rays may cause paint fading or cracking to rubber and plastic parts. Before storing your bicycle for a long period of time, clean and lubricate it and spray the frame with polish. Don’t cover your Trike Bike with plastic or a bike cover in humid areas because “sweating” may cause advanced rusting and corrosion. What are the sizes of the baskets ? Tell me about the Baby Seats ? The ultimate in safety for transporting your child. Although it’s a general child seat we don’t guarantee which bikes they fit. Child seats can’t be taken back for refund or exchange. This is for hygienic reasons. This Baby Seat fits the electric Trikes we sell, it requires some mechanical ability to fit. Although it’s a general child seat we don’t guarantee which bikes they fit. Child seats can’t be taken back for refund or exchange. This is for hygienic reasons.